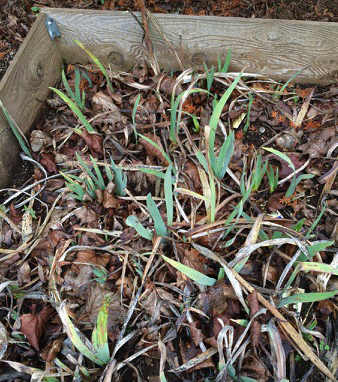 Winter Iris Care Does your Iris bed look like this right now …. under a foot of snow? 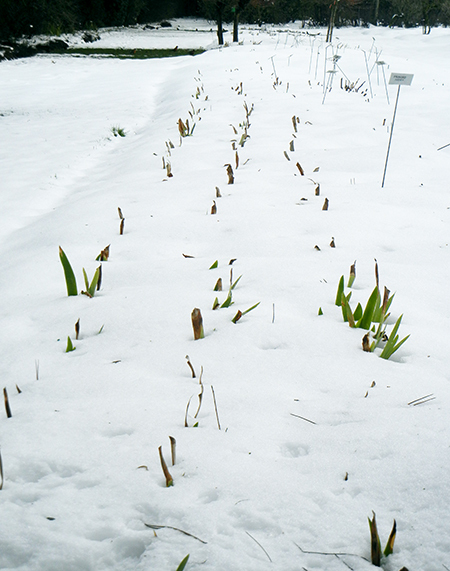 Iris beds covered in a blanket of snow need no care at this time. Let nature’s insulator do its job. Or maybe they look something like this….a tangled mess of decayed leaves? Well, even though it’s not an ideal sight, don’t be ashamed. Let’s talk about how to remedy the situation. If you have a garden that boasts bare ground right about now, you most likely are also starting to see signs of spring – along with the darling and beloved daffodil, tulip and hyacinth shoots, weeds and grass blades are also emerging. Now is a good time to dote upon the forgotten Iris bed, and trim back the dead, decayed foliage. If the leaves are droopy, brownish-gray — completely lifeless — then gently tear them off at the base, like a sheet of notebook paper from its spiral. If the leaves are still sturdy and green, trim those down to below any evidence of leaf spot. Clear away the debris from the beds, pick out the emerging weeds, if any, from the soft soil. You might spray a preventative fungicide at this point, as well. Follow all manufacture’s recommendations carefully. If you anticipate another freeze in your area, you can lay evergreen boughs or straw over your newly-cleaned out Iris beds for added protection until the spring temperatures return in earnest. At which time, you will remove any covering. Remember, rhizomes grow close to the surface and want to feel that sunshine. Bearded Iris can be very forgiving, largely due to their very sturdy nature. Just a short two bits on the distinction between two of the methods herbaceous perennials (including Bearded Iris) utilize for food storage…. Plants have evolved several methods of storing food so that they can spring to life when the conditions are right, bulbs and rhizomes among them. The definition of a bulb is any plant that stores its complete life cycle in an underground storage structure. The “food” is converted sunshine, collected through the leaves through photosynthesis, and carried into the “larder”. Only some of the plants commonly called bulbs actually are bulbs. 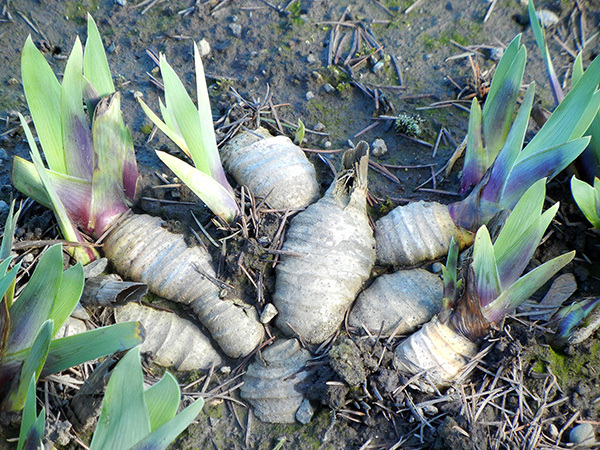 Bearded Iris, although falling into the above definition, develop a storage structure known as a rhizome (really an underground “stem”). The rhizome is the larder for nutrients that give the plant the energy it needs to grow, bloom, and complete its life cycle. Trimming the Iris foliage too early deprives the plant of its food intake. Rhizomes grow horizontally just under the surface of the soil which is why they must be planted shallowly, in soil with good drainage. 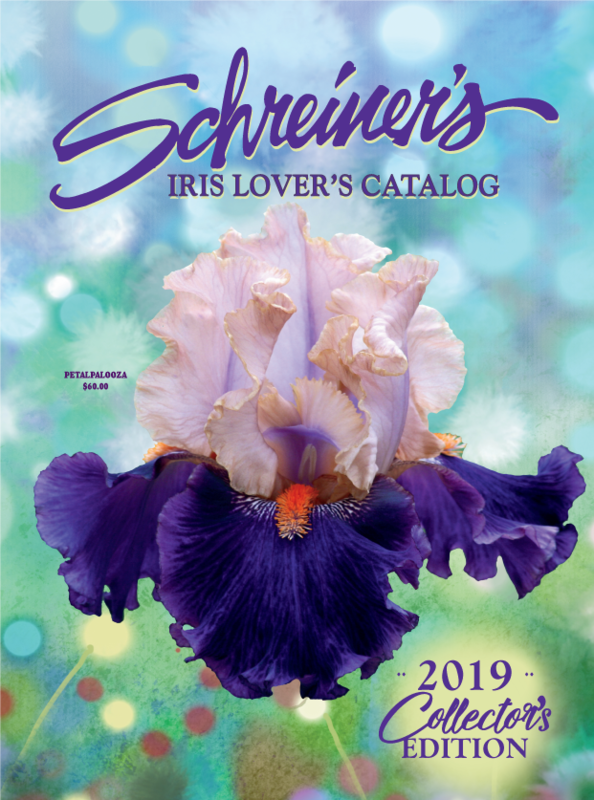 Send Iris the promise of Iris…with our annual Sweetheart Iris Collection! Celebrate the passion of Valentine’s Day all over again during Iris bloom season. 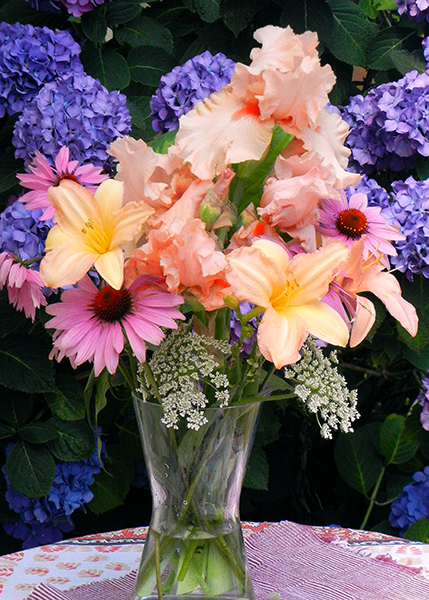 Send these five radiant Tall Bearded Iris to your sweetheart, or invite them into your own heart (and garden)* with our annual Sweetheart Iris Collection. Categories: bearded iris, bulb, Garden Design, iris, Iris Care, pink iris, Planting, rhizome, Schreiner's, Uncategorized | Tags: bearded iris, bulb, Garden Design, iris, Iris Blog, iris care, pink iris, planting, rhizome, Schreiner's Iris Gardens, trimming foliage | Permalink.